A healthy human body needs nutrients. Carbohydrates, protein, fat, minerals, vitamins and water in correct proportions are the keys to health and longevity. 1 Let’s take a moment and focus on minerals. Here is the question: Are you getting enough minerals in your daily diet? We will explore this question shortly, but first, you might be wondering why minerals are important. Here are some examples of how minerals are used within the body. Did you know that selenium is a major antioxidant? It protects cell membranes, works against free radical generation and prevents cancer. Magnesium can lower blood pressure and protect against cardiovascular disease. 2 Calcium is another a very important mineral. It helps build strong bones as well as regulate the body’s pH. 3 There are also many other trace minerals required for health and longevity. 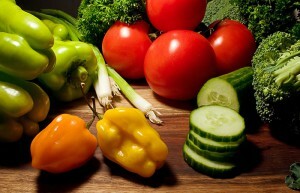 Even a diet rich in fruits and vegetables may not be enough to provide you with the minerals you need. So where can we get these minerals that our bodies need? Diet is a key source of minerals. The foods we eat and the water we drink can contain minerals. However, is diet enough when it comes to getting all of the minerals the body needs to stay healthy? The answer is almost always no. Even a balanced diet, full of fresh organic fruits, vegetables and grains fails to supply a body with the minerals it needs, simply because most people cannot eat that much food. Let’s look at some of the reasons why diet alone is not enough when it comes to getting our minerals. Where have all the minerals gone? This is a very important question that must be considered when we look at the soils where our crops are grown. Since plant life is at the bottom of the food chain, these deficiencies do affect the entire food chain. Processing can also destroy some of the mineral content in our food. 4 Then there are the choices we make on what to eat. Many people don’t get five or more servings of fruits and vegetables in a day. Our eating habits also tend to worsen around the Holidays. So how can we get more minerals into the diet? The solution to getting more minerals is simple. Supplementation along with diet is the best way to get the vital minerals a body needs. There are several supplements to choose from. However, not all supplements are created equal. Some mineral supplements assimilate or absorb into the body better than others. Our best sellers include the Legendary Colloidal Minerals and our Liquid Chelated Trace Mineral RDA’s. In fact, we even use some of the active components of our Legendary Minerals to enhance the absorption of our vitamin supplements. To wrap things up minerals are a key nutrient to your good health. Without minerals our bodies cannot be at their best. Are you getting enough minerals? Know Your Nutrients. University of Iowa Hospitals & Clinics. Dr. George Obikoya. The Benefits of Magnesium. The Vitamins and Nutrition Center. Calcium. The Linus Pauling Institute. Sally Fallon. Dirty Secrets of the Food Processing Industry. The Weston A. Price Foundation. Hello Jose, we can’t really make recommendations as we are not licensed medical professionals. However, I recommend you do a search for “Diabetes” here on our website. Something might pop up.